Austin is known for cowboy boots, live music, and famous BBQ. We flew down to Austin for a long weekend to find the best bars and restaurants, and brought back some insider tips on the BBQ situation. BBQ is serious business in Austin. People start lining up hours ahead of opening at the most popular BBQ spots like Franklin Barbecue and La Barbeque early in the morning. Franklin’s was closed when we were in Austin. It’s an award winning barbecue institution. The line at Franklin’s Barbecue, located in a teal trailer with wood-fired smokers in the back, can be more than five hours long. Those in the know make a day of it and bring lawn chairs, beer, and games (click here for more). We attempted to go to La Barbeque a few times, but you’ll find a line anytime of day there as well, so be prepared to commit some serious time to making your BBQ dreams come true. We were in Austin for a short time, so we didn’t have time to wait (and we typically won’t wait in any line for food) so we asked some locals for their tips on how to experience Austin’s most famous barbecue. If you don’t have time to wait, the best plan is to order Franklin’s to go (a few days ahead of time). You can preorder online and pick up multiple pounds of barbecue without standing in line to bring home, or you can order their book and make it at home. Get a full education on smoking meats. 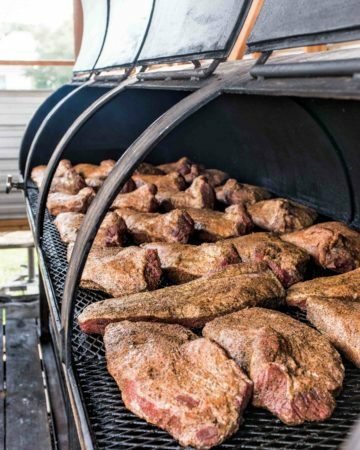 Go here to get Franklin Barbecue’s famous rib and brisket rub recipe plus their rib recipe. You can also pick up Salt Lick BBQ in the airport. It’s guaranteed to be the best airport food you’ve ever tried. Have you waited in line for barbecue? Was it worth it? Let us know in the comments below. This is one of the best restaurants in Austin. This izakaya is where Japanese and Texan cuisine collide. Their cocktails are fun (many are served in entertaining vessels) and the food is even better. 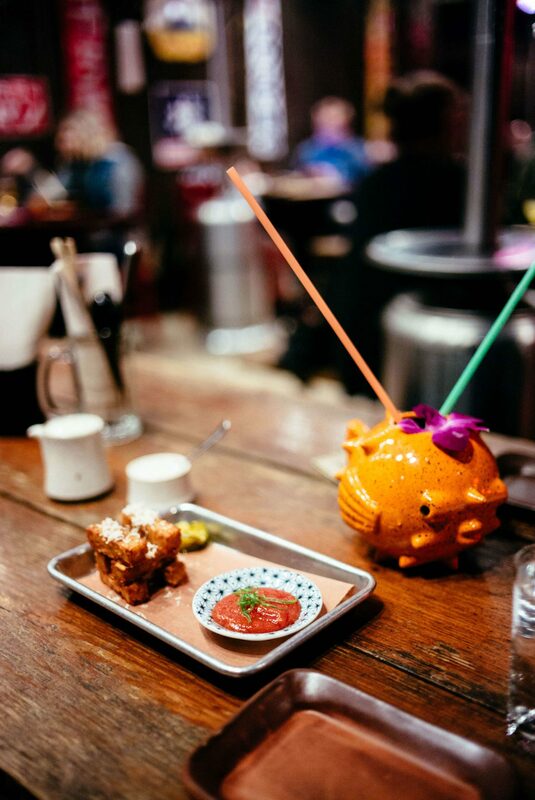 You’ll find everything from ramen to ribs and tater tots. Click here for more and find out what to order. The team also recently opened a second restaurant, Ramen Tatsu-Ya Comal. A modern twist on Mexican food. This restaurant is light, airy, and has a lively atmosphere. With an open kitchen, you can choose to watch the chefs or just enjoy the company at your table. Margaritas flowing and 100% gluten free flavorful dishes. See what we ordered here. 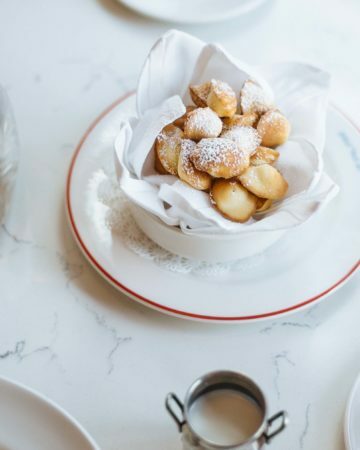 A brasserie, cafe and patisserie serving fine French food in the middle of downtown Austin. Read our full review here. The best craft cocktails in Austin are at the Roosevelt Room. We’ve visited a number of the world’s best bars, and the Roosevelt Room is the only bar in Austin that is arguably performing at that level. See our visit here. This unique microbrewery specializes in sour beers. Guests choose a glass size, select a up to four beers to taste, and get to keep the colorful printed tasting glass. This cowboy boot store is a local institution and even if you don’t like cowboy boots, is impressive for its amazing selection of boots and Stetson hats. Austin is full of street art and murals. Take a walk around downtown and see how many you can find. For an old school Austin experience, head to the Driskill Hotel Bar. This historic hotel was where Lady Bird and Lyndon Johnson had their first date. For an easy breakfast or lunch, check out Mi Madres. This fairly traditional Mexican restaurant serves everything you won’t find at ATX Cocina. We loved their queso dip and they have great breakfast burritos. If you love Yeti, their flagship store is a must. Since Yeti is from Austin, you can find any Yeti product you could desire, available with customizations. Sit outside at the Yeti bar on a Yeti cooler and grab a beer while you watch a game. Perfect for a hot summer Austin day! Thank you to Alaska Airlines for sponsoring this Austin Guide. Become an insider here at The Taste SF to receive exclusive content, insider guides, giveaways, and more directly in your inbox.